This Pennsylvania bed & breakfast near Philadelphia is perfect for your intimate wedding, your romantic weekend getaway, your girl&apos;s weekend on the wine trail, your mom and dad&apos;s anniversary celebration, or your small business retreat. At Faunbrook Bed & Breakfast, we are dedicated to protecting your privacy and safeguarding your personally identifiable information. Our main purpose in collecting your personal information is to provide you with a streamlined experience in making reservations at Faunbrook Bed & Breakfast. We only collect information about you that we consider necessary for achieving this. Personally identifiable information is only obtained when making a reservation. All identifiable information provided will not be disclosed to anyone unless we are specifically requested to do so. 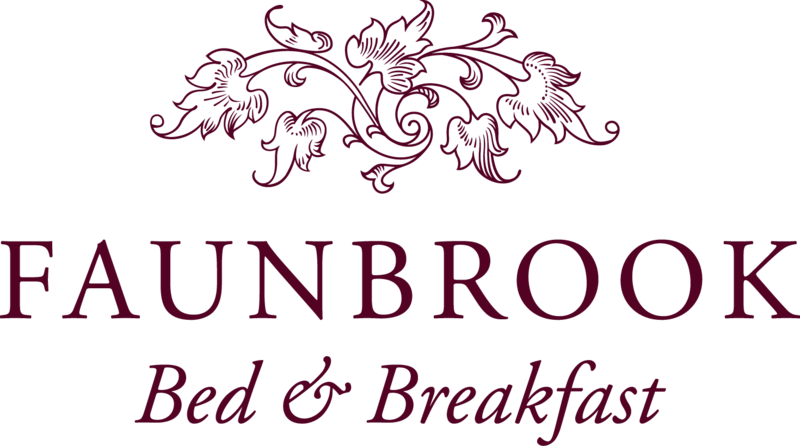 Faunbrook Bed & Breakfast does not give or sell to anyone any information we collect on our site. At Faunbrook Bed & Breakfast, we take security seriously. When users make a reservation we use every precaution to safe guard it online and offline. Faunbrook Bed & Breakfast may amend this Privacy Statement from time to time in order to meet changes in the regulatory environment, business needs, or to satisfy the needs of our guests, properties, strategic marketing partners, and service providers.